Robobrew Brewzilla - the All In One Brewery with re-circulation pump as standard now available in this 65 litre model. The Brewzilla has been made with ultra low watt density elements. This means less caramelisation and also makes this brewery capable of producing very light beers with very little maillard effect. This is also particularly good with high gravity beers or barley lines that can sometimes get some degree of scorching in other breweries with higher watt density. The lower watt density also means the elements are much easier to clean. Even if you have never all grain brewed before, it is super easy to use and you will pick it up in no time with this fantastic single vessel brewery. Cleaning is one of the worst parts about all grain brewing but single vessel breweries like this minimise this pain and make it fast to clean up. Note, this is a 15amp unit. Standard household power sockets are 10amp, so you will either need a 15amp socket installed, or you can use a 15amp-to-10amp converter from a hardware or electrical store. A converter will limit the power available to the Brewzilla for boiling, so having a dedicated 15amp power socket to plug it into is the best option. The RoboBrew generation 3 unit is designed to be a compact single vessel all grain home brewing system that can be run off a single NZ 240v socket. Complete turnkey system with a delay timing feature and step mash functionality. 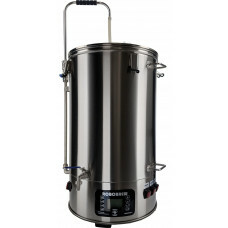 Built to make batches up to 30L, it is the ideal solution for those who want to take the first step in all grain brewing and don't want to break the bank in doing so! 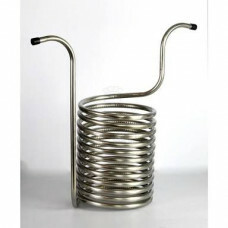 Fast to setup, brew and clean up is easy The very simple design is easy and intuitive to use. - Digital Backlit Temperature Control/Display. - Stainless ½” BSP Ball Valve with 13mm barb fitting.